A recent visit to the Metropolitan Museum of Art allowed for a special view of this Paul Jackson Pollock (January 28, 1912 – August 11, 1956) piece. I snapped the image above during my visit and the depth, color and texture are stunning. I feel that the piece is more startling in person, perhaps because of sheer size. So many of the artists featured in the Modern Art area are familiar - we hear about in school when we are young and perhaps we are familiar with a work or two - but do we know them? Let's start a two week post: Modern Art Monday. We'll revisit two well known works and connect with the artists as people. Courtesy of Wikipedia, let's do a mini-Modern Art 101. 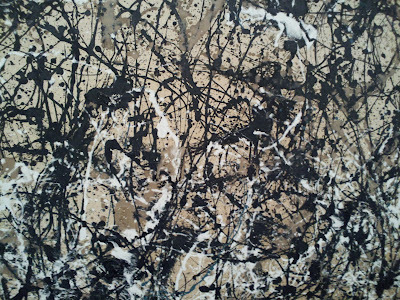 First up: Paul Jackson Pollock. Known as Jackson Pollock, he was an influential American painter and a major figure in the abstract expressionist movement. 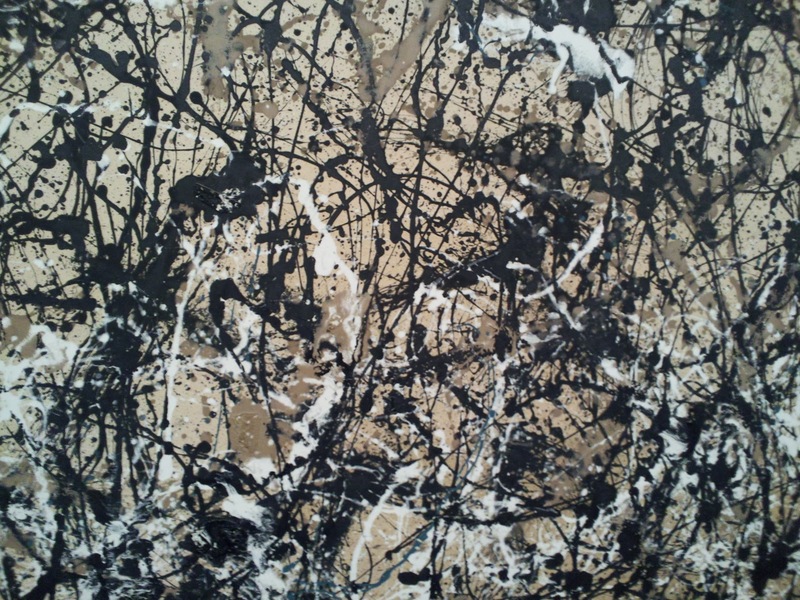 In 2000, Pollock was the subject of an Academy Award–winning film Pollock directed by and starring Ed Harris. I've pulled an image of the artist at work.